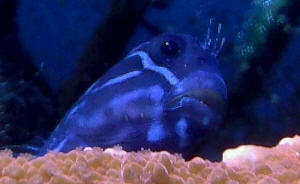 I've just recently obtained a "Tribal Blenny". 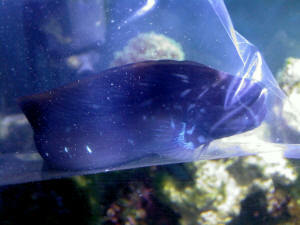 I've found that it is a relatively new fish to the hobby and I am having trouble finding its taxonomic nomenclature. It is an algivorous blenny and one website says it is collected off of Sri Lanka. I've found one online vendor that labeled it simply as Atrosalarias sp.. If you could assist me in properly identifying what species the tribal blenny is, I would greatly appreciate it. Thank you for your prompt reply! I have been leaning towards it being an Atrosalaris fuscus color variant as well. I will post it on the forums as suggested. Unfortunately, I've noticed that in addition to grazing on turf algae, my tribal blenny has nipped at my red Montipora capricornis. 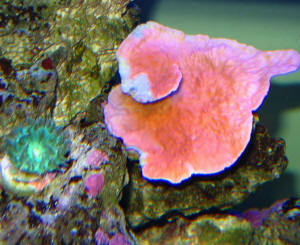 Of the many SPS corals in my tank, this is the only one he has seemed at all 'interested' in (possibly because it is nearest to the crevice that he frequents). 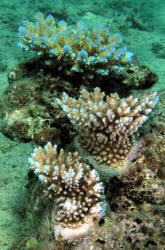 I've moved the coral and I haven't seen him go near it for a while. I really hope this is not to be a common occurrence as I really enjoy this fish. Thank you again for your assistance! (After tearing apart my tank to catch it) The blenny is now in a small holding tank. I will return it to the reputable vendor I purchased it from. I would like to set up a specialty tank (without SPS corals) for this fish, but I do not have the means to do so at this time. The coloration and demeanor of this fish are exceptional. Regardless of these happenings, I am still very interested to discover the exact taxonomy of this blenny. Please keep me informed. Thank you! 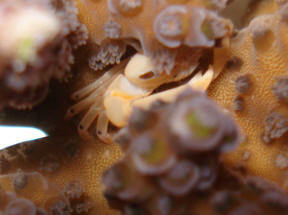 Acro Crab? 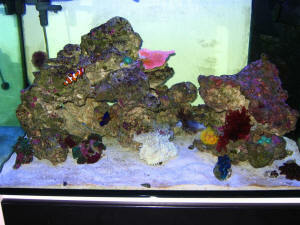 Reef Safe? Yep! 2/22/07 HI crew! !, <Hi there! 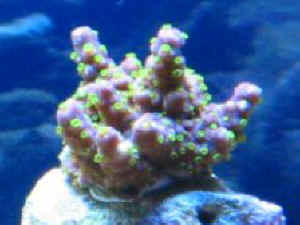 Mich here.> Good evening, last week I introduced this Acropora into my system and found this little guy as a hitchhiker. As far as I have read, asked around and researched, it is an Acro crab and would be safe to leave it there, but wanted to double check with the experts here in WWM. 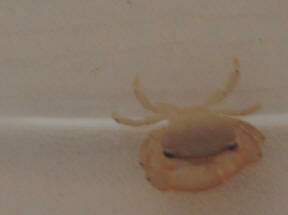 <It is an Acro crab and is safe to leave. Enjoy your lucky addition!> Thanks in advance.